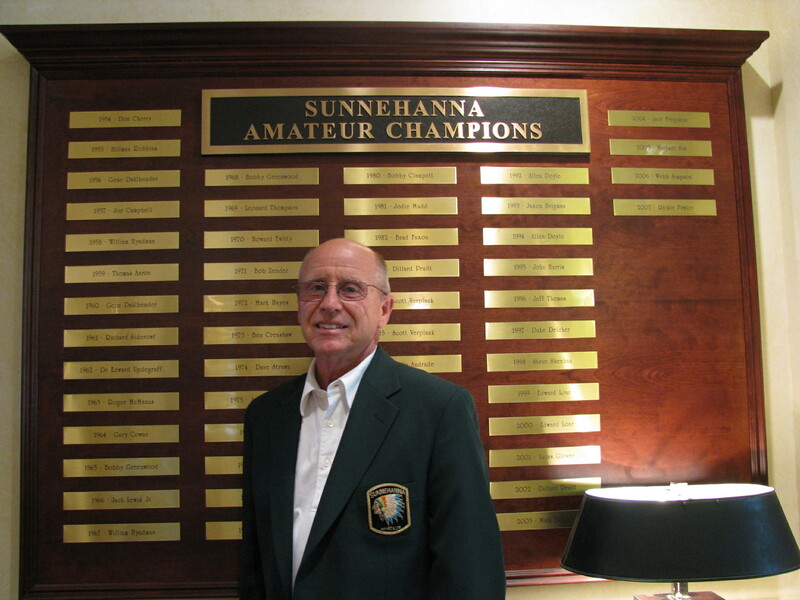 Bobby Greenwood was honored at the 55th Annual Sunnehanna Amateur Tournament of Champions, Johnstown, PA. 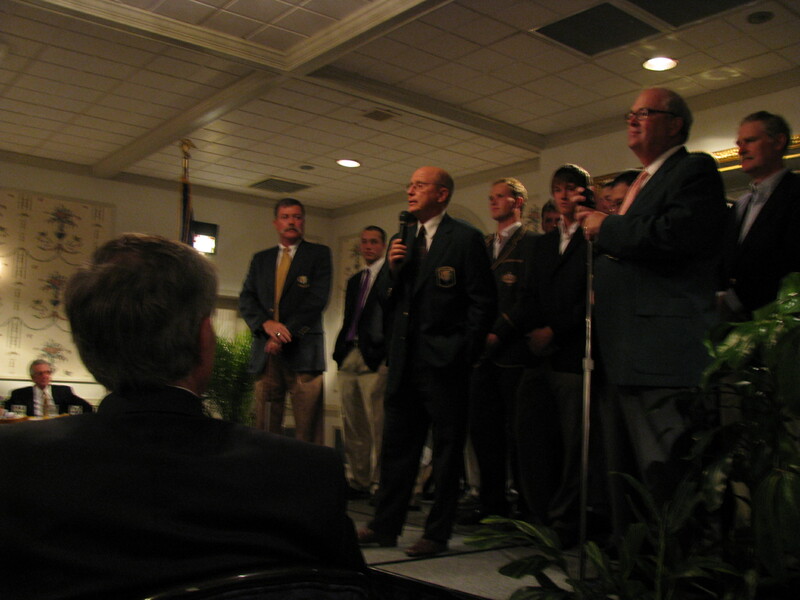 He was presented a special sport coat at a banquet held at Sunnehanna prior to the 2008 Amateur tournament. On Wednesday, Bobby Greenwood presented the borrowed putter he had used to establish the Sunnehanna Country Club record for a low round in 1965. 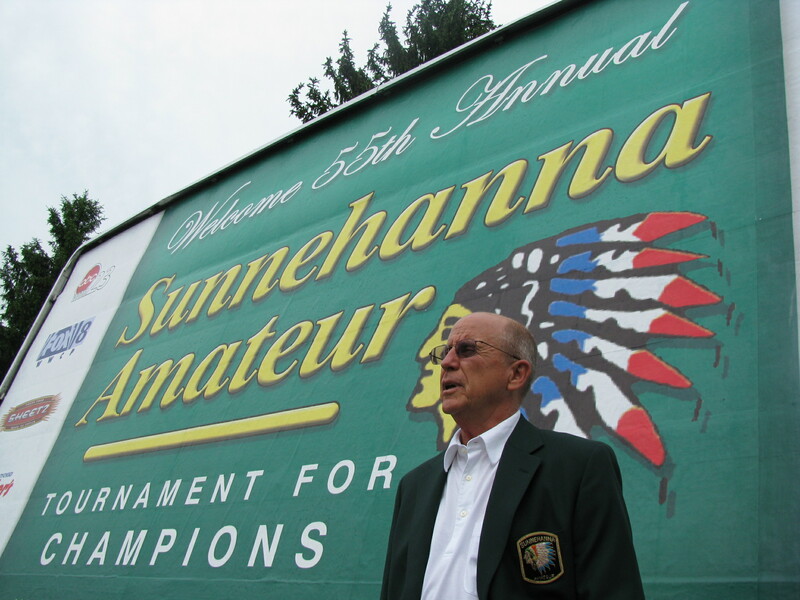 Greenwood, 69, of Cookeville, Tenn., was in Johnstown as an honored guest in conjunction with the 55th Sunnehanna Amateur Tournament for Champions. In one of local golf’s great ironies, soon after Greenwood returned home this weekend, his 43-year-old record 63 round had been broken by Zach Sucher, who shot a 9-under-par 61 during Saturday’s third round of the Amateur. “Beautiful,” Greenwood said, when reached by phone in Cookeville. “I had somewhere around 30 course records. This was the last course record that hadn’t been broken. It took 43 years to break it. With the technology and the new ball, every single one of my course records have fallen. This was the last one to go. I’m thrilled and happy. I wish I would have been there to witness it. Greenwood established the record during the second round en route to his victory in the 1965 Sunnehanna Amateur. He set the mark in unorthodox fashion. Greenwood’s luggage and clubs were lost by an airline, so he borrowed woods from club member Jack Vanyo, irons from head professional John Goettlicher and a putter from course superintendent Joe Harlow. He shot a first-round 70. When his own clubs arrived the next day, Greenwood continued to use the borrowed putter during his record round of 63. Bob Zender tied the mark during the second round in 1971, when he also was the overall winner. Lee Williams again tied the record during the third round in 2002, and Michael Sim repeated the feat during the second round three years ago while winning the Amateur after a five-hole playoff. Greenwood, his wife, Elma, and their 9-year-old daughter Viola attended a banquet held at Sunnehanna prior to the Amateur last week. He was presented a special sports coat.